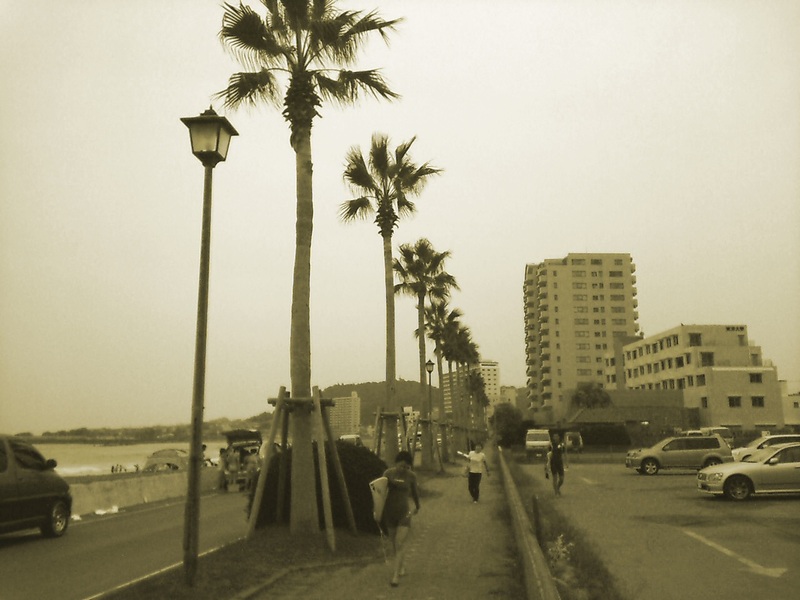 We came to the surf-city , KAMOGAWA . THis is the endpoint of our seaside-drive . We have to turn to west , toward the ferry-port of KANAYA , to return home .